Deal damage to various cars including the most expensive to the most common. Drive the cars and speed up to jump on the springboards and destroy the car in one hit. This game is not about your driving skills and you don't need to show how accurate and fast you can drive on the track. 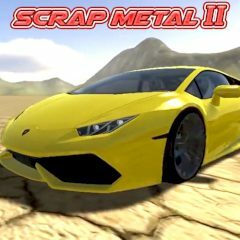 In this game you have to destroy various cars that are locked within the valley with a smooth surface. Speed up and drive on the springboards you have set before and see what will happen to your car after it lands.